Catch em' all with these officially licensed Pokemon Pint Glasses! 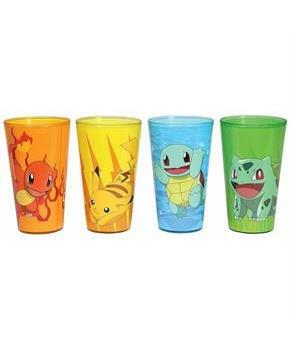 This four pack features the key characters on bright glasses; Charmander, Bulbasaur, Squirtle and Pikachu. Each glass holds 16 ounces of your favorite beverage. Hand wash. Do not microwave. Catch em' all with these officially licensed Pokemon Pint Glasses! 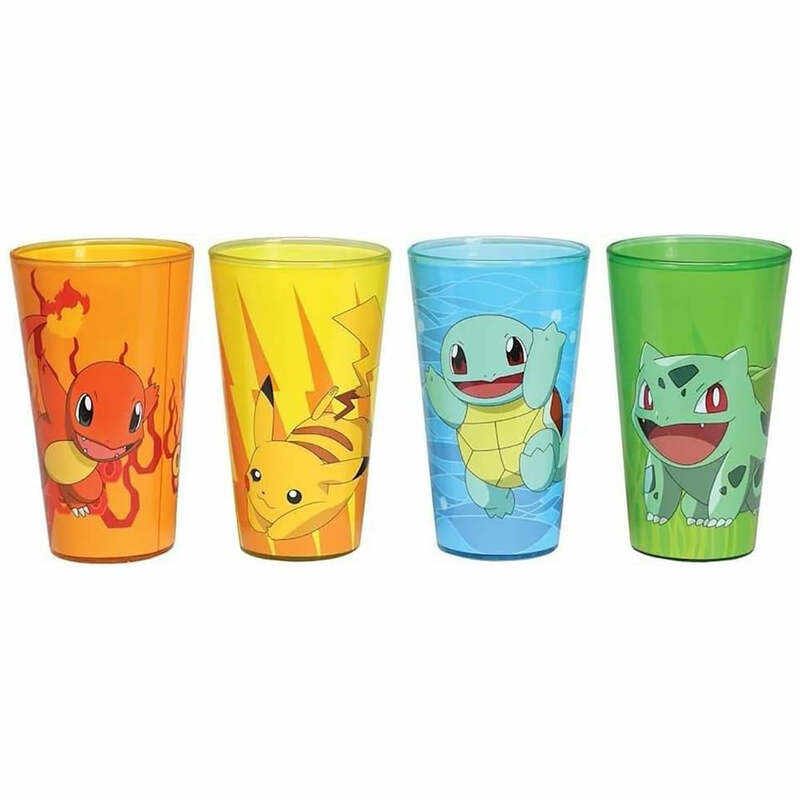 This four pack features the key characters on bright glasses; Charmander, Bulbasaur, Squirtle and Pikachu. Each glass holds 16 ounces of your favorite beverage.